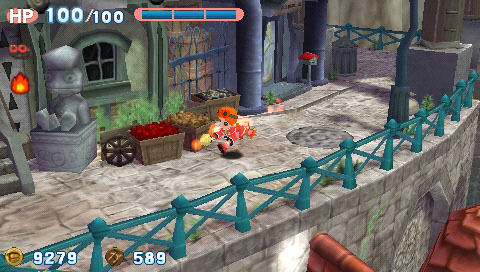 Mastiff has released an assortment of new screenshots today of Gurumin: A Monstrous Adventure for the PSP. The game is an action-RPG and comes from developers Nihon Falcom, creators of the Y's series. Look for it in stores February 13, 2007. For more info on the game you can view our previous article, and be sure to check back with us for more details as they become available.